If you’ve spent the festive season hopping between the Caribbean islands on your superyacht and indulging in more than a little hedonism at the best party spots it stands to reason that, come January, you might be feeling a little sluggish, heavy and generally unhealthy. While the benefits of a balanced diet and regular exercise can never be underestimated, if you need something to help kickstart a healthier way of life then a detox or cleanse can be the perfect solution. While these may take many different forms, from a quick treatment to a full juice cleanse, the one thing they all have in common is the aim to reboot your immune system, flush out toxins and generally leave you feeling revitalised, rejuvenated and ready to get back to a full-time healthy lifestyle. 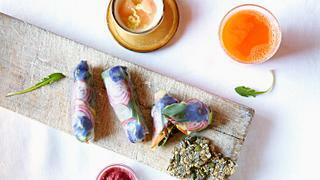 Scroll down for our edit of this year’s best luxury detoxes and cleanses. Alongside a highly regarded line of high alkaline waters, delicious healthy dishes and organic coffee, Miami-based health company Dr Smood also offers a range of cleanses and detoxes that cater to the needs of all types of bodies and lifestyles. The programmes are divided into beginner, intermediate and advanced categories lasting between one and five days and involving a mix of organic salads, snacks, dairy-free milks, waters, boosters and juices. Each of the programme levels is designed to offer maximum nutritional value for caloric intake while suiting your specific needs and experience. Dr Smood’s nutrition experts recommend you follow its cleanse programmes four times a year, once at the start of each season, to give your body a break from digesting processed foods and help rid yourself of chemicals and toxins while giving your system a much needed vitamin boost. Founded in 2008 by health coach and nutritionist Geeta Sidhu-Robb to help combat her young son’s multiple allergies and anaphylaxis, Nosh Detox has expanded into an international health food brand offering a huge range of weight loss programmes, energy boosting diets, vitamin drips and detoxes. If you’re looking to lose weight quickly without giving up solid food entirely then Nosh Detox's four food plans offer enough variety to satisfy your appetite and address your specific needs. Body Smooth & Tone is a general all-rounder that promises to improve digestion and boost metabolism, VeganKeto is aimed at serial dieters and resets the appetite to help you lose weight with reduced calorie intake, the Alkaline Diet tackles bloating and the Sugar Detox does what it says on the tin aiming to remove all sugar cravings. 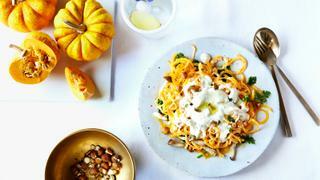 Each programme lasts from one to 28 days and includes three meals and two snacks with dishes including coconut and lime tofu on Konjac noodles, chicken cassoulet with mixed greens and vegan nachos con queso. All meals are delivered to your door ready to heat and eat and can be supplemented with a range of juices and vitamin drips from the Nosh range. 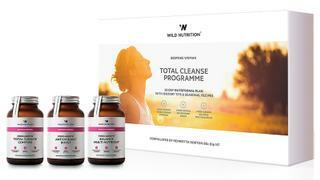 Need a quick hit of detoxification and wellbeing but don’t have time for a full cleanse? 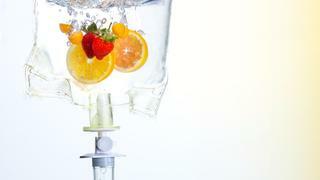 The Elixir Clinic, located in Harrods’ new Wellness Clinic, offers a range of VitaDrip IV vitamin infusions promising a whole host of benefits in just one 45-minute treatment. While the drips cater for everything from pre- and post-surgery needs to promoting hair growth and reducing jet lag, if it’s a health boost you’re after opt for the Detox VitaDrip which blends a mix of vitamins, minerals and amino acids tailored to your needs and promises ten times more effective absorption than oral vitamin pills. If you’re looking for a real challenge then Plenish’s juice cleanses offer great rewards for those willing to commit to a completely liquid diet. Graded in levels from one to four, each cleanse has a specific focus from weight loss and improved skin health to energy boosting and increased psychological performance. Each cleanse lasts up to seven days and features six different cold pressed juices each day, all of which contain over 1kg of organic fruit and veg. 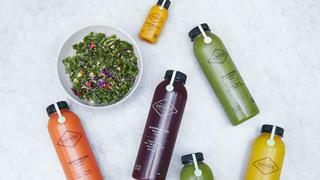 The gentlest, level one, is the most varied with juices including Pump (beetroot, carrot, cherry and lime) and Lift (pear, cucumber, romaine, spinach, kale, basil, broccoli and lime) while level three is the lowest in sugar with four green juices per day and level four is the best for weight loss with its juices totalling just 790 calories. 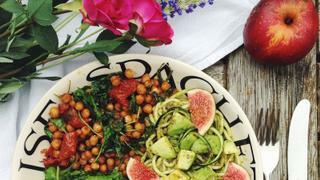 Devised by chef Bonnie Stowell after her father fell ill with type-2 diabetes, Spring Green London offers three and five day programmes of entirely plant-based, light protein and active protein diets. Envisioned more as a gateway to lifestyle changes towards full-time plant-based eating rather than a short-term diet, all of Spring Green’s menus are low in sugar, wheat and dairy free and carefully balanced to include the right amounts of good fats, carbohydrates and vitamins. Sample dishes include berry power pancakes with cacao nib gems, Venus rainbow rolls with chia crackers and grapefruit ginger dip and prawns with green spinach taco and tahini and turmeric sauce. If you already live a generally healthy life but are looking for something to pull you out of a lethargic slump or period of demotivation, Wild Nutrition’s food grown supplements could be the ideal solution. The brand offers tailored packages for men, women, teens and children as well as plans to promote fertility and a Total Cleanse programme. Featuring the Cleanse Plus, Antioxidant Boost and Balance Multi Nutrient, each of which should be taken three times a day, the Total Cleanse plan also contains recipes and health tips from nutritionist Henrietta Norton that work with the supplements and your body's biochemistry to help you get the most out of your cleanse.